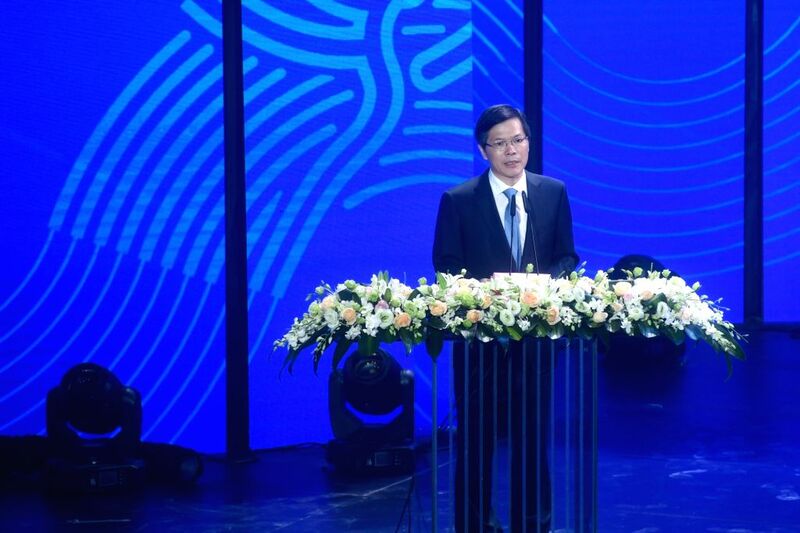 HANGZHOU, Aug. 6, 2018 - Xu Liyi, Mayor of Hangzhou, speaks during the Emblem Launch Ceremony for the 19th Asian Games Hangzhou 2022 on Aug. 6, 2018, in Hangzhou, capital of east China's Zhejiang Province. 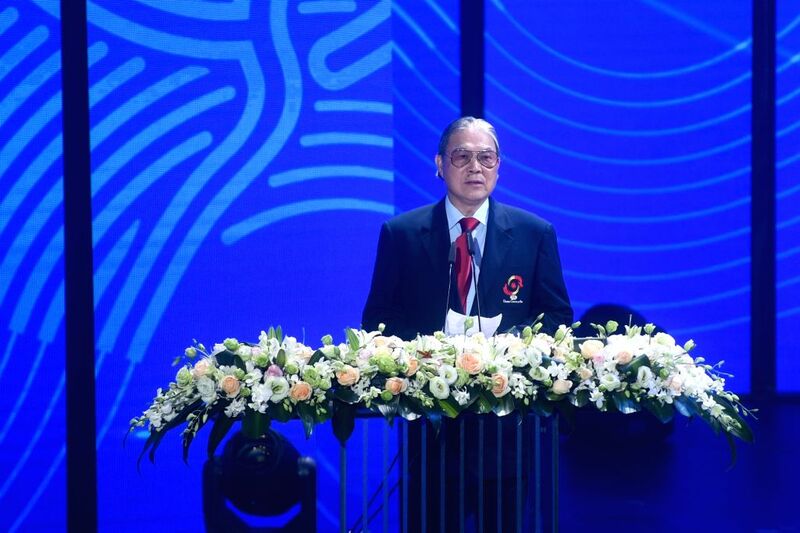 Timothy Fok Tsun-ting, vice Chairman of Olympic Council of Asia, speaks during the Emblem Launch Ceremony for the 19th Asian Games Hangzhou 2022 on Aug. 6, 2018, in Hangzhou, capital of east China's Zhejiang Province. 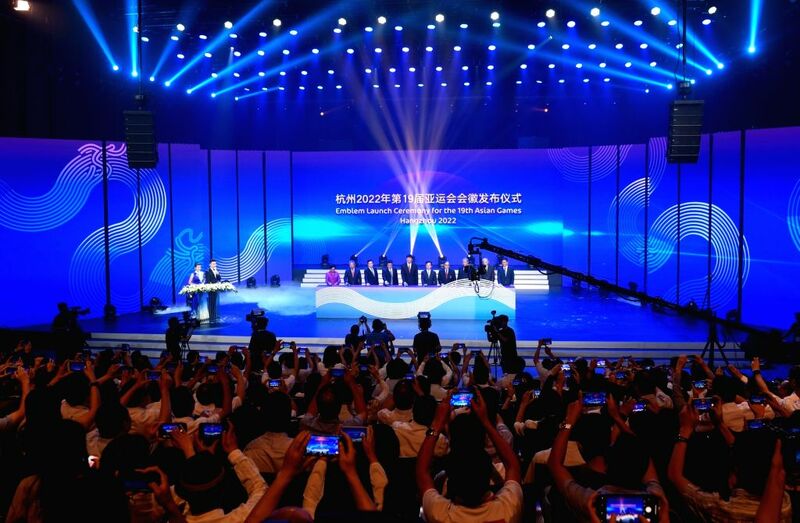 Photo taken on Aug. 6, 2018 shows the Emblem Launch Ceremony for the 19th Asian Games Hangzhou 2022 in Hangzhou, capital of east China's Zhejiang Province.